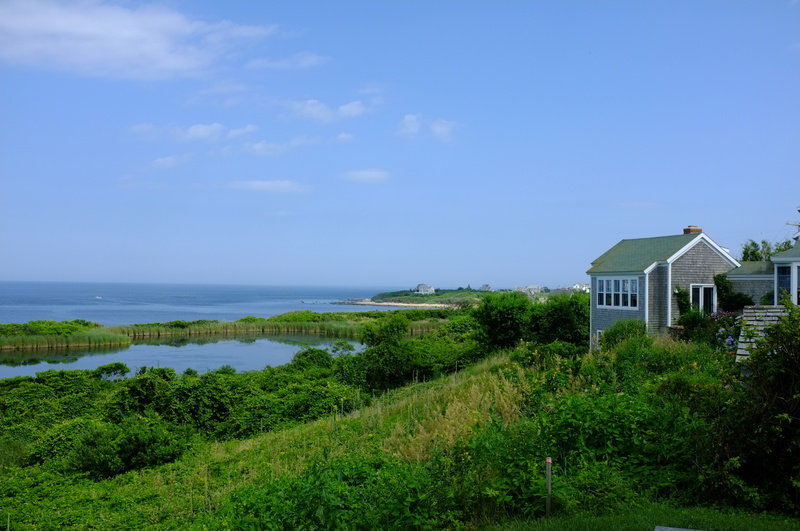 As we find ourselves entering the last week of summer and anticipating the post-Labor Day approach of autumn, I’m prompted to fondly look back on my family’s escape up to Block Island. A few weeks ago, I wrote about Eli’s but that was only one small part of our culinary adventures on this tiny little destination spot. Block Island – coined as the Bermuda of the north – is a blissful piece of land only accessible by ferry-boat. It is similar to Nantucket and Martha’s Vineyard, but has a special ethereal quality to it that is most visible when you are exploring back roads, winding bike paths, and walks down steep inclines to a shore surrounded by looming clay dunes. Coffee shops and local stores all have that beach town whimsy and small stone cairn towers built by wander-lusting visitors dot the ocean landscape before you. You lose a sense of time and place after just a day or two on the Island. 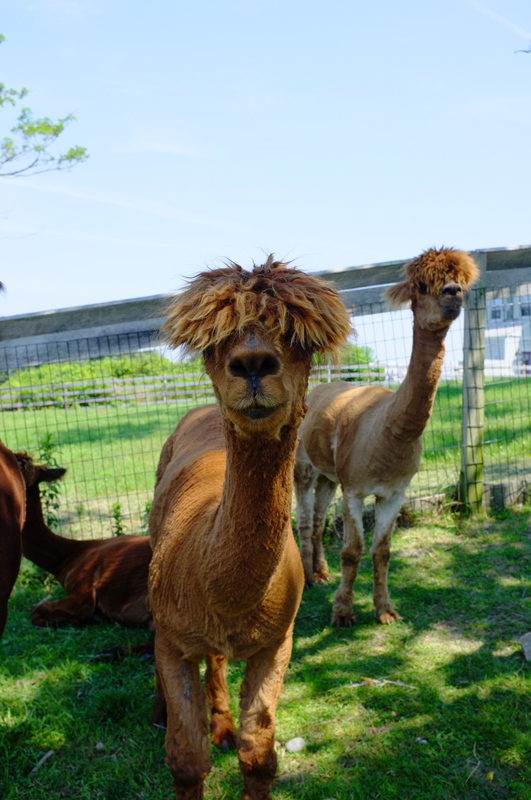 The alpacas are regularly shaved for wool that is used by North Light Fibers, a model for sustainable year-round business in an micro-economy that relies nearly all on seasonal tourism. 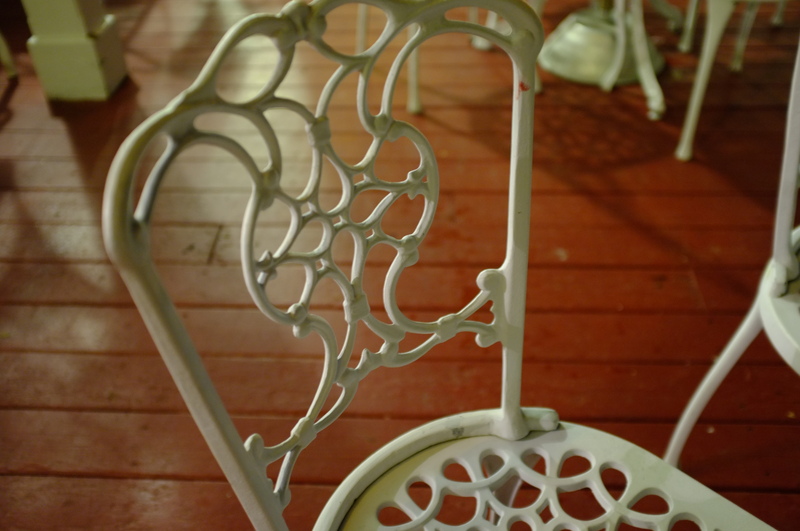 One of our favorite spots is the Spring House. The Spring House is no secret place. Built over 150 years ago, famous individuals including Ulysses S. Grant, Mark Twain, and Billy Joel have stayed under its iconic red roof. It has also hosted a Kennedy family wedding and the Clinton’s on a brief escape during their time in the White House. Our family dines at the Spring House each year on our last evening on the Island to celebrate the time together and take in the last pieces of the beautiful setting before stepping back into reality not to mention a long car ride the next day. I anticipate this meal every year. Their specialty? Lobster. 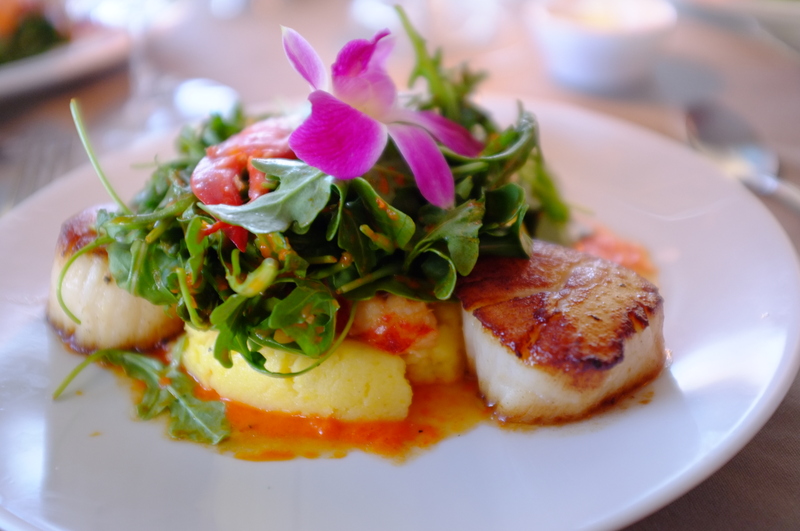 This year, rather than ordering their lobster platter, I opted for diver scallops with a lobster corn pudding, topped with arugula and garnished with a chive-infused olive oil and red pepper coulis. It far exceeded my expectations. Without any hint of fishiness and no over-buttering, the seafood was delicate and distinctly flavorful. More than anything, I loved the corn pudding, which was sweet and pure with a fresh and fluffy consistency. It was the perfect complement to the peppery arugula and meaty seafood, rounding out a full palate experience. In honor of a lovely summer, I created a more rustic version of corn pudding, which I’ll post later this week. It’s a great way to celebrate the flavors of July and August – especially if you are on the east coast – while ushering in the warmth of fall flavors. 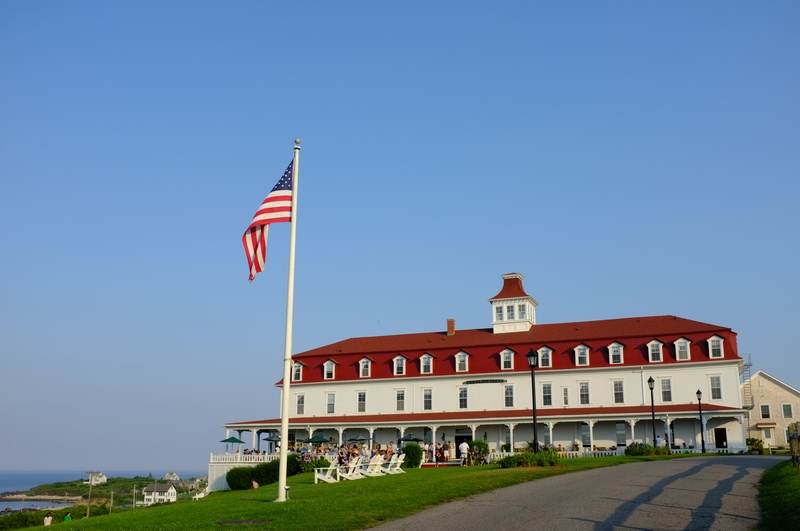 We finished off our evening at the Spring House with a delicious dessert and drinks to watch the sun set over the horizon and toast to the final days of summer.